Welcome to Autism College! We are excited that after months of planning we are finally going live. 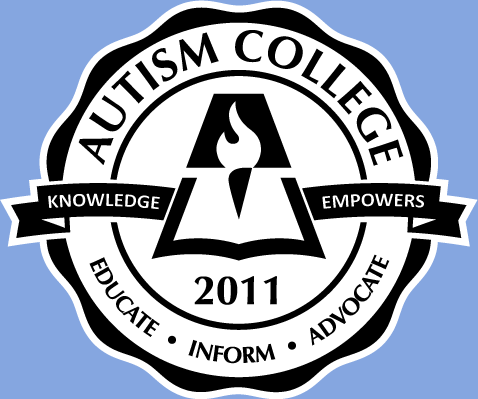 The idea for Autism College came about because I realized there were many parents and educators who did not have access to conferences either because they lived in rural areas, or they did not have access to respite workers to care for their children, or the cost of traveling to conferences was prohibitive. We thought having valuable and practical information available on line provided in an interactive format would be beneficial to those families and educators. As well, I receive so many emails asking for information and advice that I could no longer continue to answer – it only made sense to provide a format to help people get the answers they need to help them move forward in a positive way. Some of you may have heard me speak at conferences, or on my past Autism One radio show, or even when I moderated webinars for momsfightingautism.com. If so, I look forward to interacting with you here! For those who are not familiar with my presentations, I think you’ll enjoy the practical autism parenting tips I love to share. Looking forward to interacting with you in class !